Seattle PI and Forbes Newsreader works online or offline – and is probably best suited to a portable computing device like a laptop or tablet. It also aims to be a mix of the print and Web reading experience. With big media publications, where content is read every day and often on public transport like trains and buses, the user experience is considered to be key. 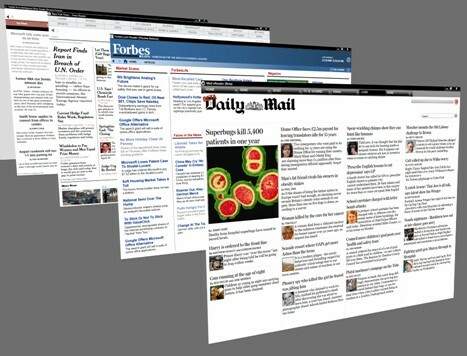 Microsoft believes the WPF technology provides a better experience than with browser-based News Readers (like Google Reader or Bloglines). Many people would debate this, pointing to the increased convenience and portability of browser-based solutions. Nevertheless, this news today shows that Microsoft is putting a lot of effort into bringing big media companies on board and using WPF instead of browser technologies.